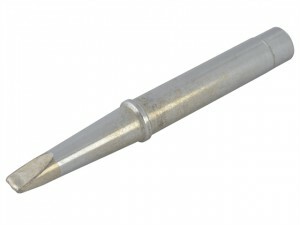 This Soldering Tip will fit the XS type of Antex Soldering Iron. Size. 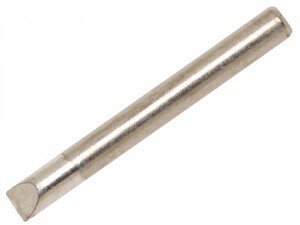 4.7mm. Replacement tip to fit the Faithfull soldering iron FAISI25W.Size : 25 watt. 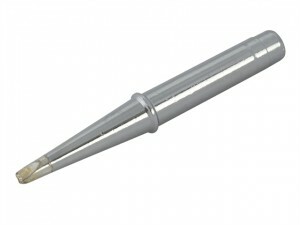 Replacement tip to fit the Faithfull soldering iron FPPSI40W.Size : 40 watt. 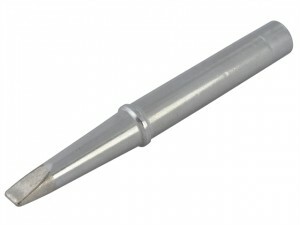 Weller plastic cutting tip, made from nickel plated copper. 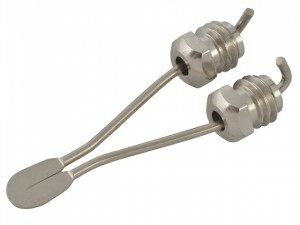 Suitable for 8100/9200 soldering instant heat guns. 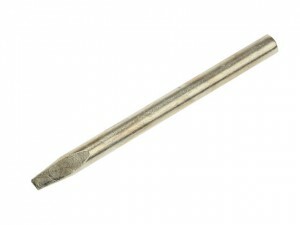 Pair of copper soldering tip, suitable for 8100/9200 soldering instant heat guns. Card of 2. 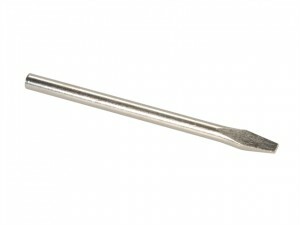 Weller spare tip for use with Robust 05/D Weller heat gun. 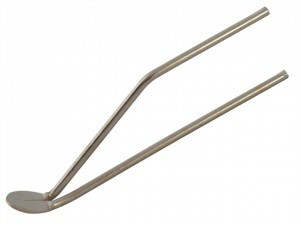 Weller plastic cutting tip, made from nickel plated copper. 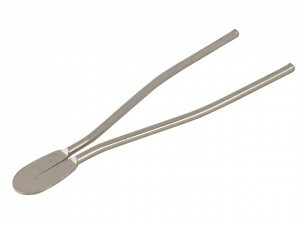 Suitable for 05D Robust Heat Soldering Iron. Weller straight chisel tip to fit W201 iron. 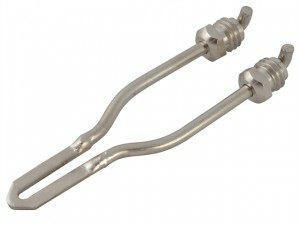 Size: 7mmTemperature Rating: 425ºC. 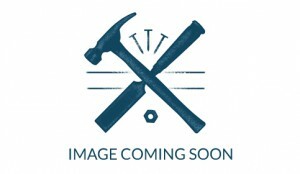 Weller straight chisel tip to fit W201 iron. Size: 7mm. Temperature Rating: 370ºC. 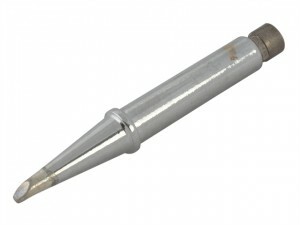 Weller replacement tip to suit Weller W61 or 60W soldering iron.Size: 2.4mmTemperature rating: 430° C.
Weller chisel tip straight to fit W101 iron.Size: 3.2mm.Temperature rating: 370º C.
Weller iron plated longlife Tip for use with The Hobbykit 2 Iron. 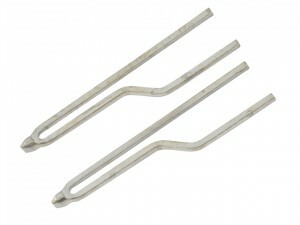 Tip Size: 7.0mm.Tip Type: Straight Sloped 45º. 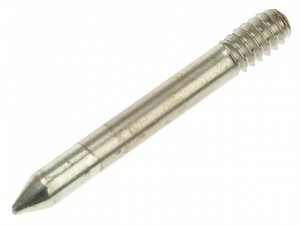 Weller nickle Plated Straight Tip for use with the SP15L.Tip size: 2.0mmType: standard tip. 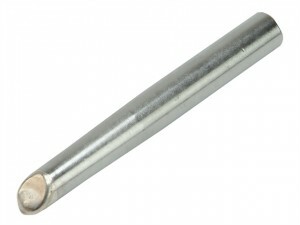 Weller tips are solid copper, nickel plated and tinned, is a replacement tip for SP40 and SP40D Iron.